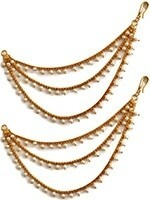 In the mood to adorn your whole ear in jewels? 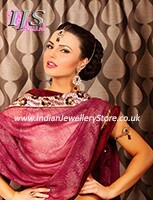 If yes, shop here. 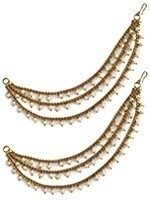 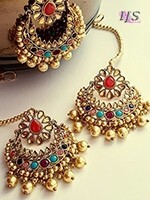 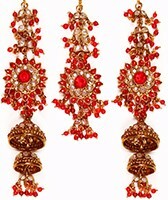 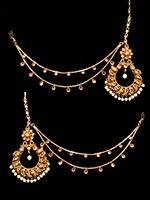 Saharas are decorative chains attached to Indian earrings which you drape either over your ear or in your hair. 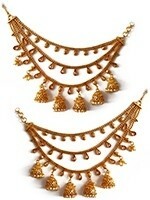 Saharas achieve a truly classic Indian jewellery look.